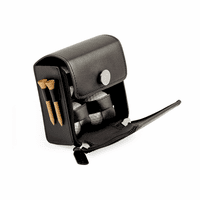 An elegant way to surprise the golfer in your circle of family, friends, and clients, this compact black leather golf ball valet is a valuable accessory to take out on the course. The valet has a felt-lined interior, and a glass top viewing window. The interior includes 3 golf balls, 4 tees, and a divot tool with ball marker. 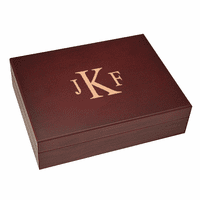 The case measures a compact 3.15" x 6.5" x 3", fitting neatly in a golf bag. 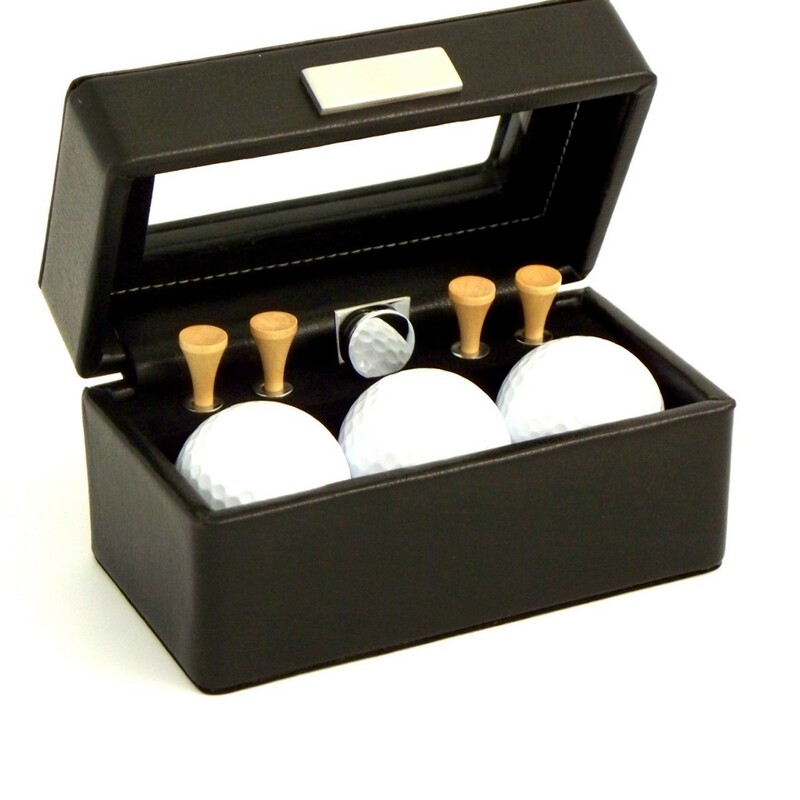 The golf ball valet comes packaged in a handsome gift box, ready to present for any occasion! Dimensions: 3.15" x 6.5" x 3"